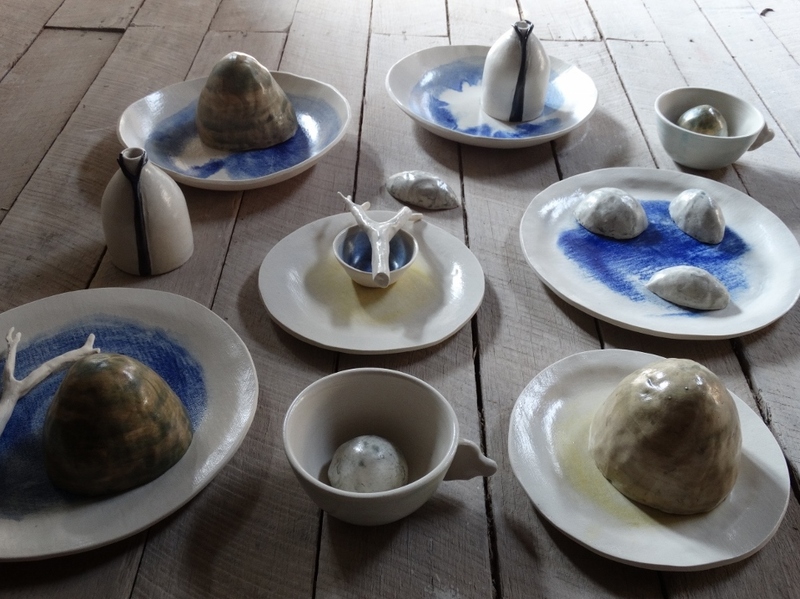 Yvette De Lacy : Mountain Clay from Suzie Haslam on Vimeo. 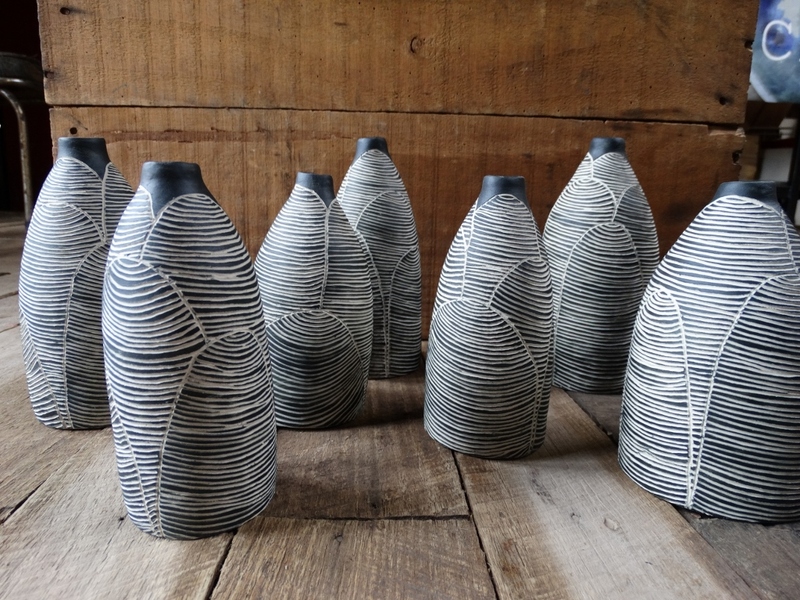 This group of bottles I based on the contours of hills and mountains at night. I try to place them as if they are people in a group mingling. These two pictures are of the work from my last kiln firing on Friday. 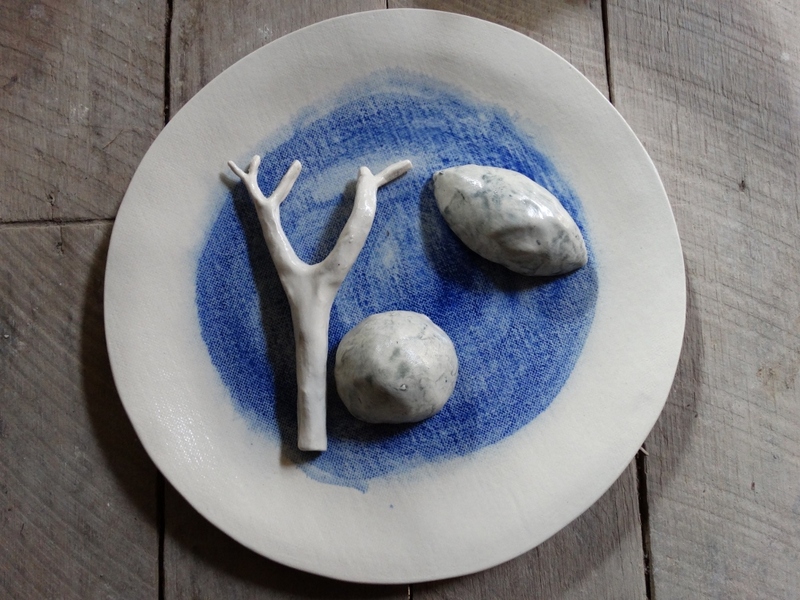 Unfortunately I lost a tree dinner plate during firing otherwise there would be two complete tree sets. 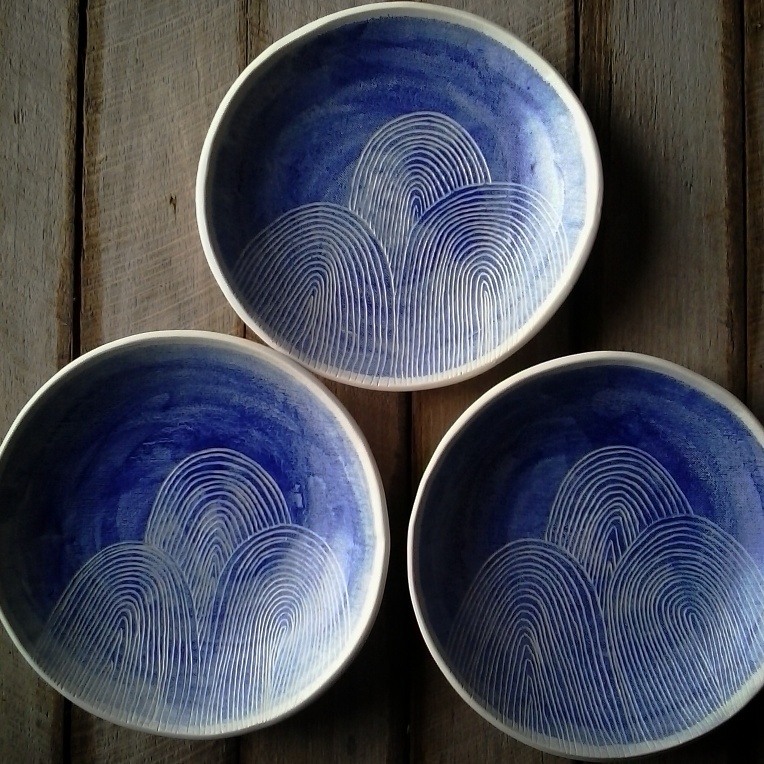 The three blue pasta bowls are following previous work which is inspired by the ocean waves near Tathra NSW. 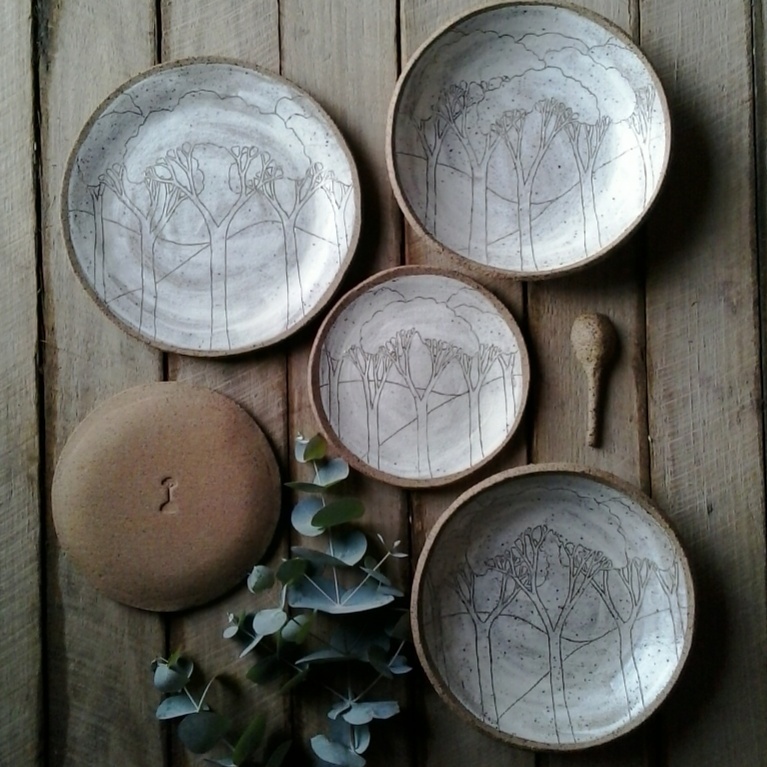 The tree dinnerware are what I see everyday up here in the mountains. 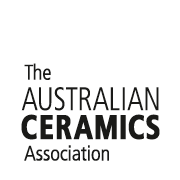 Just got home tonight after being away all day and found my new copy of ‘The Journal of Australian Ceramics’ in the mailbox. Inside was a photo I took of my work in a type of photo called ‘knolling’ which is a photo of orderly objects taken from above. 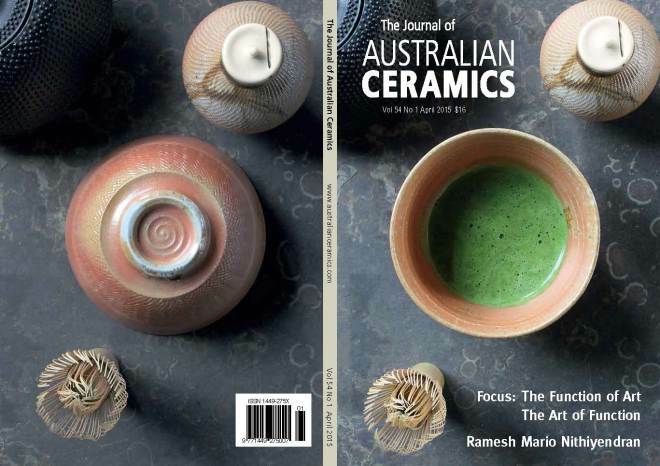 Very exciting to see my ceramics published in such a beautiful journal. You can see the state of my studio floor! Needs a good mop… also wish I had not had so much light coming in from the window on the left but I was rushing to photograph these, just before the deadline. Who is the table set for? 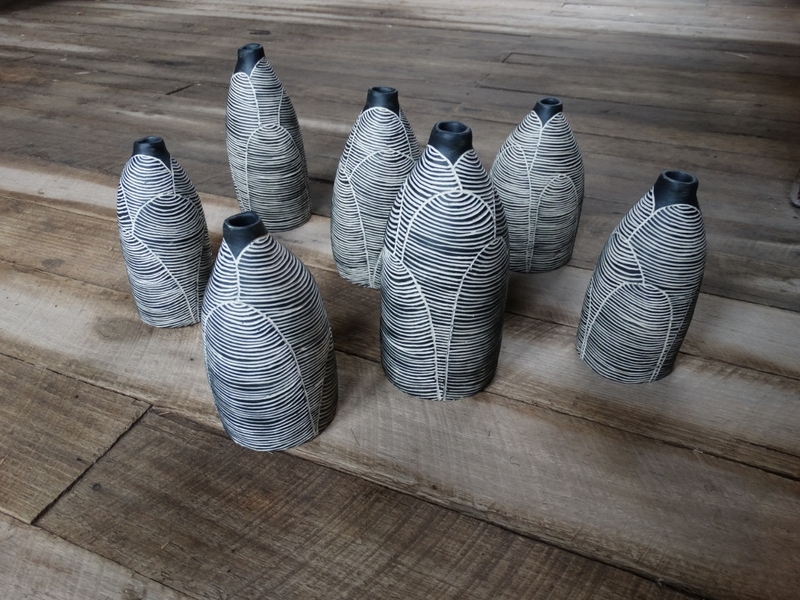 I have been playing around with dinnerware that have sculptural elements included. This piece is a reflection of our throwaway consumerist society and the impact of that on the natural environment that we live in. 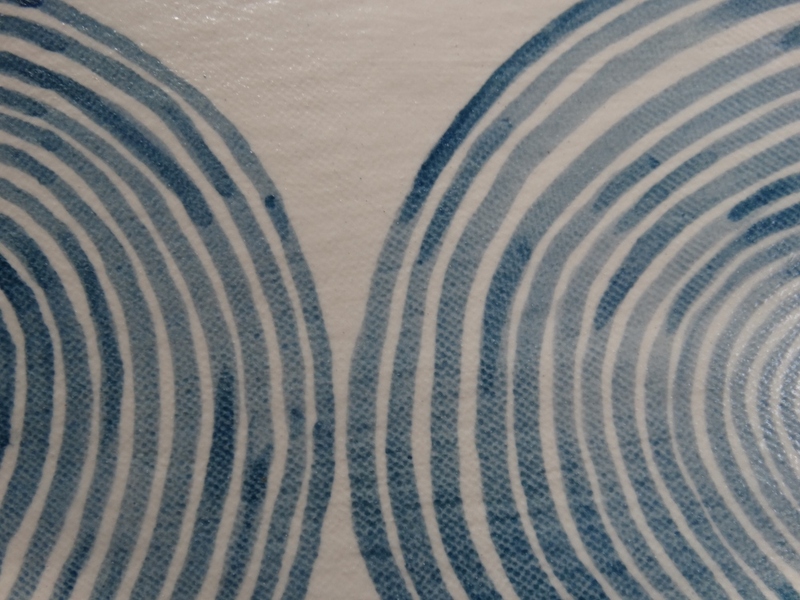 I have just taken out of the kiln matching side plates to go with my wave design dinner plates. I now need to work on pasta bowls to complete the set. Maybe cups or a larger platter or bowl as well. 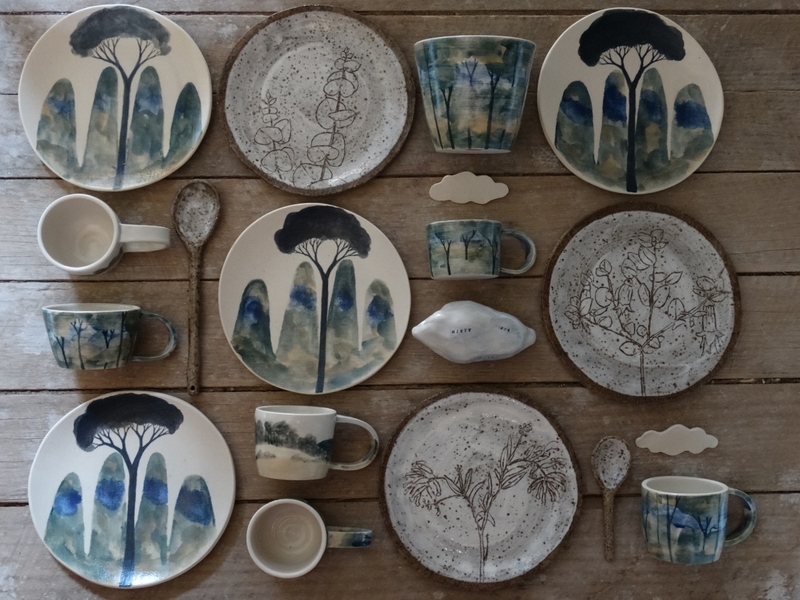 Making the plates doesn’t take too long but hand painting the waves takes ages and a steady hand…..